The necessity for good quality crystals mean that crystallisation and structure solution/refinement are closely tied together. Crystallisation is well understood for proteins, however the wide variety exhibited by small molecules and the wide range of solvents available (c.f. water for proteins), means that crystallisation is still, very definitely, a black art. Over the last few years we have tried to crystallise all sorts of materials everything from dyes extracted from spider silk to catalytic metal complexes. 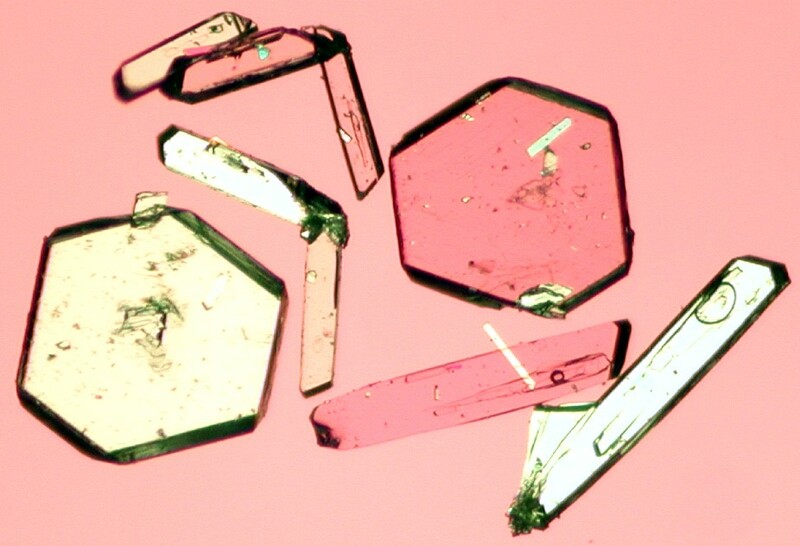 Many of the Part II projects have a crystallisation / structure determination component to them in order to test the theory that that the number of polymorphs found is related to the amount of time spent looking.